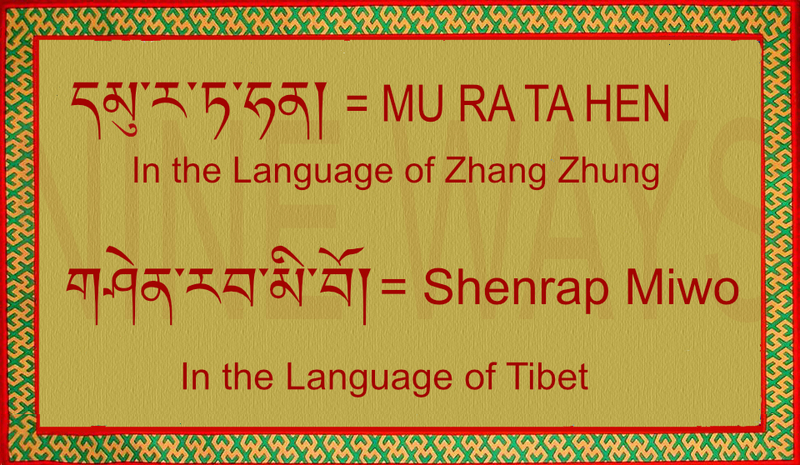 The Zhang Zhung language was a written and spoken language which predates the Tibetan language. 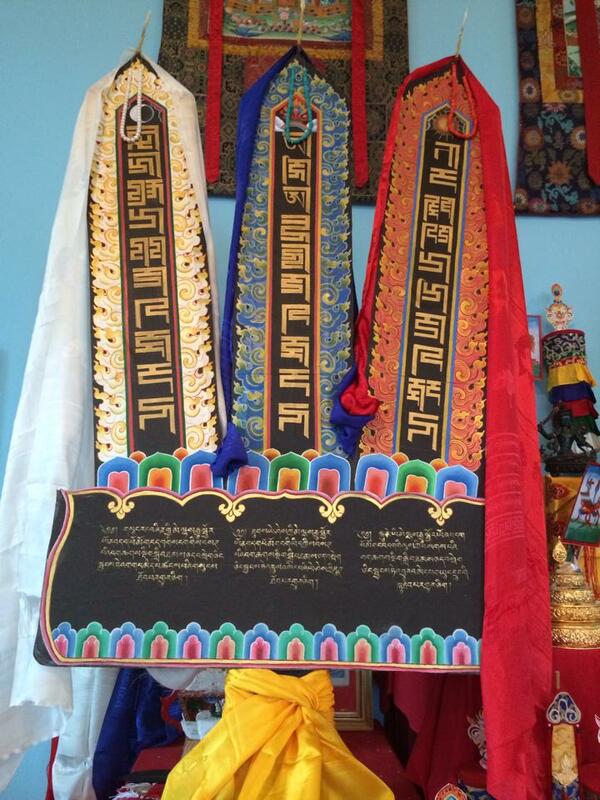 In ancient times, the Yungdrung Bön scriptures were translated from Zhang Zhung into Tibetan, as well as many other language such as Chinese and Sanskrit. There remains examples of the Zhang Zhung language throughout the texts. This Zhang Zhung language reference to Tönpa Shenrap Miwo, Buddha and founder of the Yungdrung Bön religious tradition, occurs twice within the commonly practiced one hundred syllable mantra. These boards with mantras written in gold were created in order to be offered during the fire ritual of the Yungdrung Bön tradition, These mantras are written using the ancient Zhang Zhung script. Learning Zhang Zhung: Mutsuk Marro! The phrase “Mutsuk Marro!” is from the Zhang Zhung language and means ‘Auspiciousness and good health’. 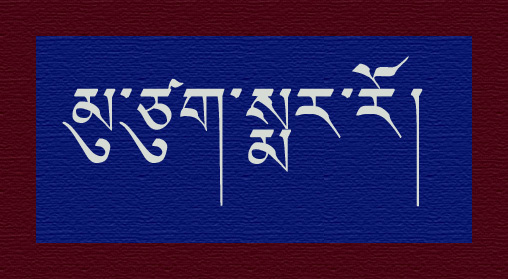 Here, it is written using the Tibetan script. In the Yungdrung Bön tradition, this phrase often occurs at the conclusion of a text as an aspirational ending. Here, the seed syllables of the five elements of space, air, fire, water and earth are written in the Zhang Zhung mar chen script. 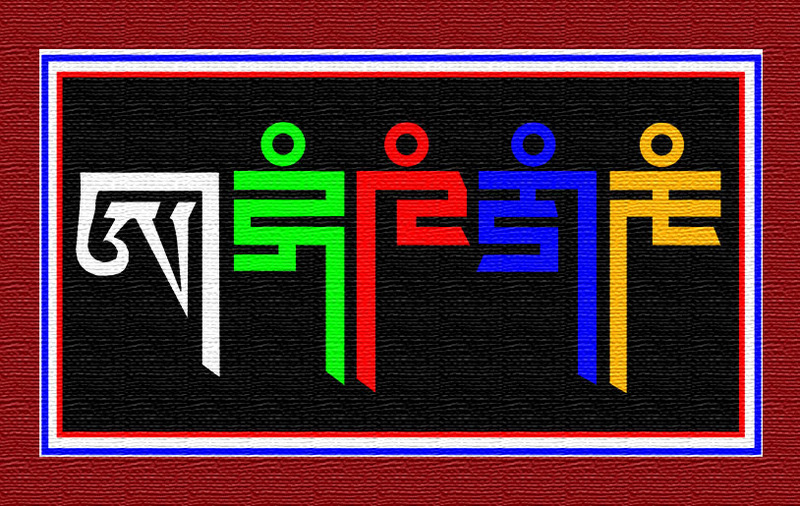 From left to right, the seed syllables are AH, YANG, RAM, MANG, AND KHAM. Over 18,000 years ago, the founder of the Yungdrung Bon tradition was born into a human body and was known as the Supreme Shen, the Enlightened Teacher, Buddha Tonpa Shenrap Miwoche. He had many students and his teachings flourished in the ancient kingdom called Zhang Zhung. 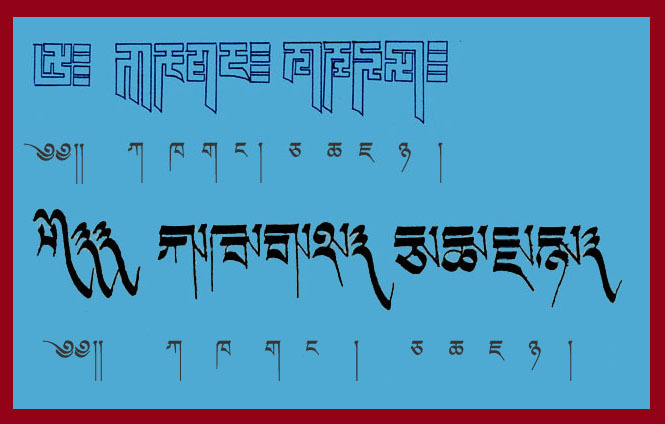 Today, the titles of many Yungdrung Bön texts are written in both the Zhang Zhung mar chen script as well as in the Tibetan script. 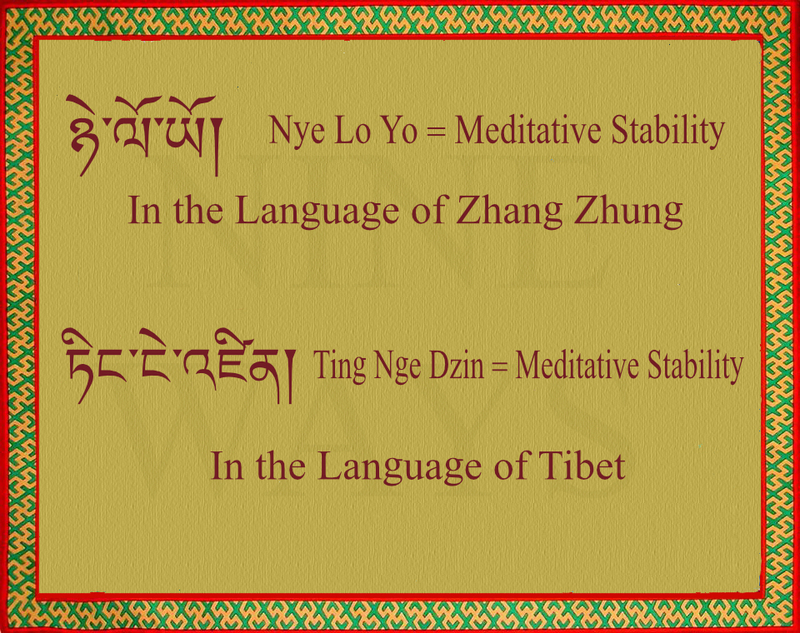 Additionally, many Zhang Zhung words are found within the texts and even significant section headings are given in both the Zhang Zhung and Tibetan language. 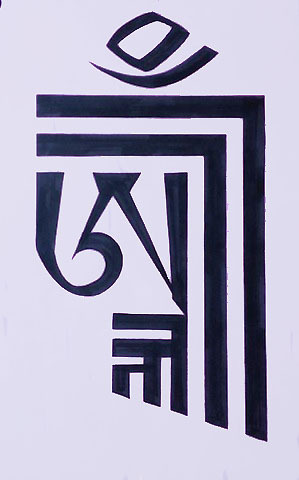 The title page from a Yundgrung Bon text with the title written in Zhang Zhung script above and Tibetan script underneath.